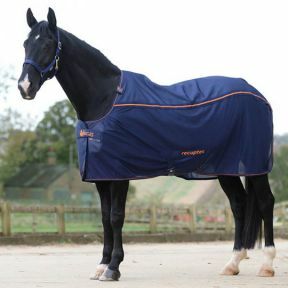 Bucas Recuptex Therapy Light rug is ideal for use during the warmer months of spring/ summer/autumn. 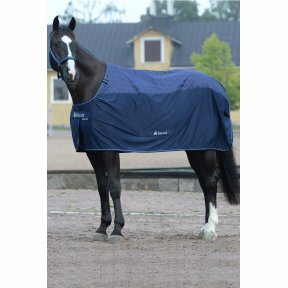 It comes with the same properties as the regular Recuptex but with a lightweight mesh lower to help circulate the air around the horse's body during hot/humid days. 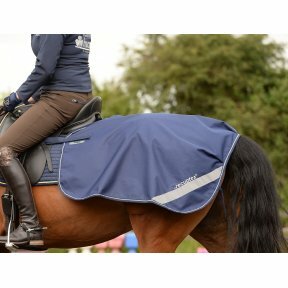 Bucas Recuptex Therapy Quarter Sheet Helps increase blood circulation and warm up muscles faster while you ride. The material prevents the escape of the natural magnetic field of the horse#s back and reflects this back into the body, working naturally and non-invasively. Made of breathable microporous material, Magnetik Rug is equipped with 32 neodymium magnets that develop a power of 2400 Gauss each. 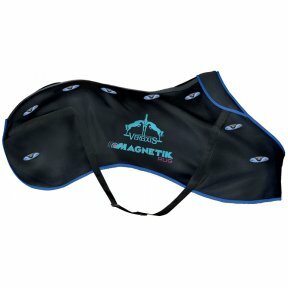 The magnets are distributed in the lumbo-dorsal fasciae, lats and shoulders. Magnetik Rug is designed to be used alone or under any winter blanket.